More than 125 schools have applied over the past three years to be exempt from the legal requirement to hold collective worship of a “wholly or broadly Christian character”. Information released to Schools Week following Freedom of Information (FOI) requests shows 127 schools have requested a “determinations” from their local Standing Advisory Council on Religious Education (SACRE) board. Determinations allow schools to amend their collective worship from being “wholly or broadly” Christian in nature. A full determination allows a school to change to a different religion – for example, a school with a largely Muslim population could hold Islamic worship. A part determination allows different acts of collective worship to suit different faiths within a school, including atheists and agnostics. Of the 133 local authorities to respond to the FOI request on time, 111 said no school had applied for a change within the past three years, or ever. Where schools had applied, none were rejected. More schools are likely to have determinations as academies must now apply to the Department for Education for determinations, rather than their local SACRE boards, although the data for academies was not available as Schools Week went to press. 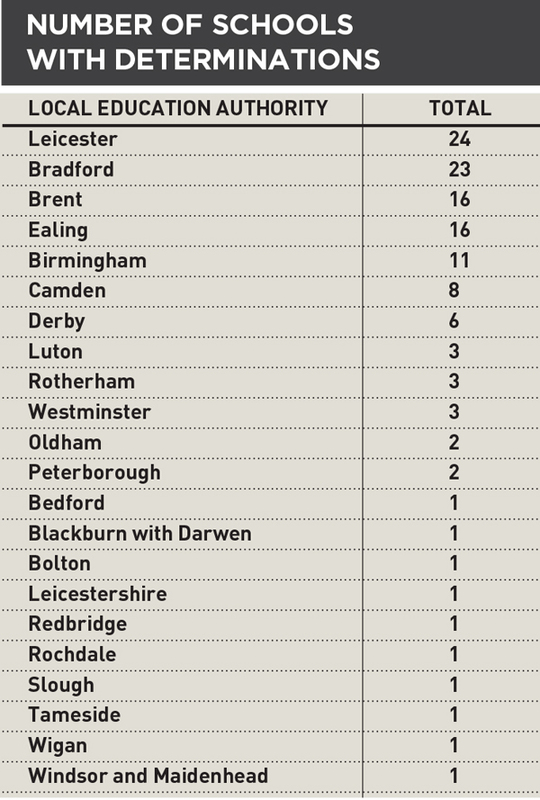 Local authority areas with a high numbers of schools making applications to their SACRE board were in more ethnically diverse parts of the country, including Bradford, Birmingham, Leicester and parts of London. Leicester City Council said it had received 24 applications since the 2012/13 academic year – the highest number of any local authority that responded. In Bradford, 23 schools applied over the same time period. 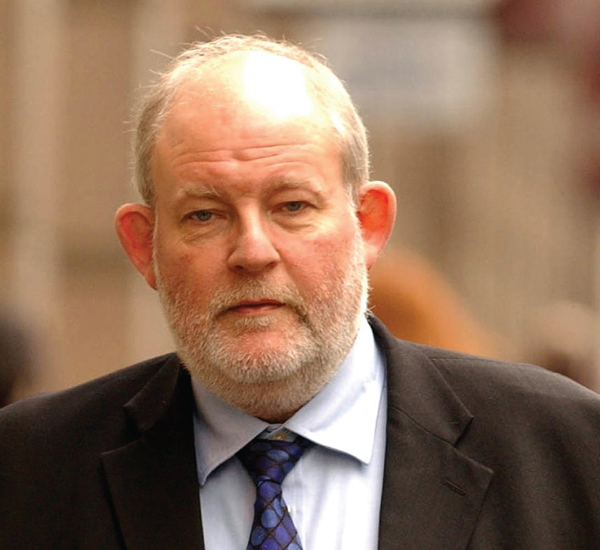 Last month, former education secretary Charles Clarke (pictured) called for an end to compulsory worship in schools. He said religious education needed to be updated. A letter to parents of pupils from Birmingham’s Bordesley Green Girls’ School explained why the school had sought a determination. The school has a five-minute collective worship each day, broadcast to classrooms via a Tannoy system. A speaker (staff or pupil) delivers a prepared contribution on a specific theme each week. In the London borough of Brent, 16 schools have determinations. Northview Junior and Infant School does “not promote any particular faith” and instead “aim[s] to provide collective worship that can include the whole school community, pupil and adults”. Jay Harman, campaigns officer at the British Humanist Association (BHA), said there was “almost no attempt” to enforce collective worship and therefore it was “hardly surprising that very few schools feel the need to opt-out”. He added: “Indeed, even if they were minded to, the process and lack of awareness of the alternatives can deter schools from doing so. Brent SACRE (Standing Advisory Council on Religious Education) concluded, in common with many others from all quarters, that the government advice published in 1994 (Circular 1/94) regarding collective worship was unacceptable and unworkable. There was however a workaround provided by the law which was that schools could seek what the article refers to as an ‘opt out’. Brent SACRE advised the local authority to recommend that all schools in Brent should seek this ‘opt out’ in order to follow a fully inclusive Recommended Approach. Schools, when applying for this opt out, have to say what they intend to put in place of the worship required by law to be of a “wholly or mainly of a broadly Christian character”. Currently, and for some years now, we have been recommending a Model Approach. Some may find it of interest.